November 28, 2016 By Claire Davidson & filed under Blog, Recipe Roundups. Getting a healthy dinner on the table every night can be challenging. Not only is it hard to come up with fresh takes on clean eating, but it’s hard to find the energy and time to whip up a delicious dinner after another long day. Exhausted chefs, have no fear! We’re here with some of our favorite healthy dinner ideas you can get on the table fast and with minimal prep work. Bonus? They’re all seriously delicious. This soft, savory, sweet potato gnocchi is the stuff that dreams are made of—and it’s ridiculously easy. 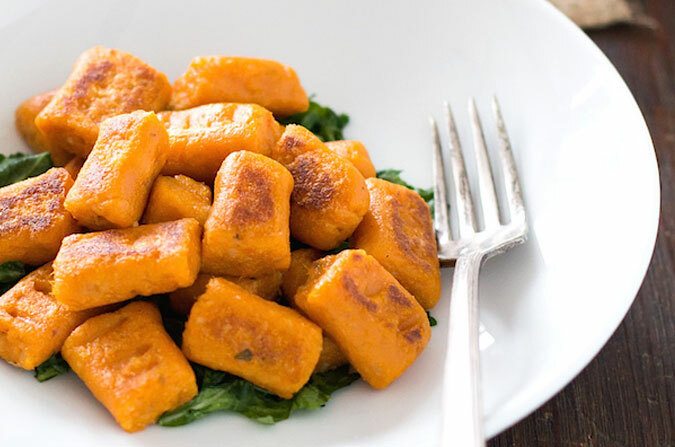 Made with sweet potatoes, it’s completely gluten free, totally healthy, and still so delicious. If you’ve never made homemade pasta before, this gnocchi recipe is a great place to start. You just need to roll out the dough and cut into discs—in twenty minutes you’ll have a new favorite dish. Six simple ingredients are all it takes to make homemade pizza! 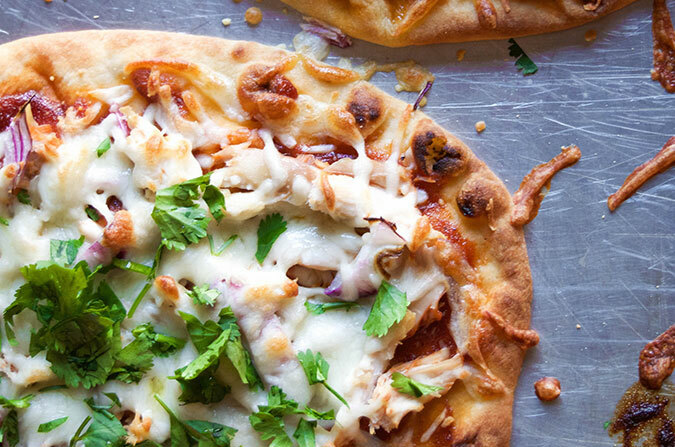 We use Naan, which is a great pizza crust alternative, and helps this crowd-pleasing pizza come together in just 10 minutes. The next time you’re craving pizza, give this healthy alternative a try. Pasta recipes are usually easy to make, but they aren’t always the healthiest. 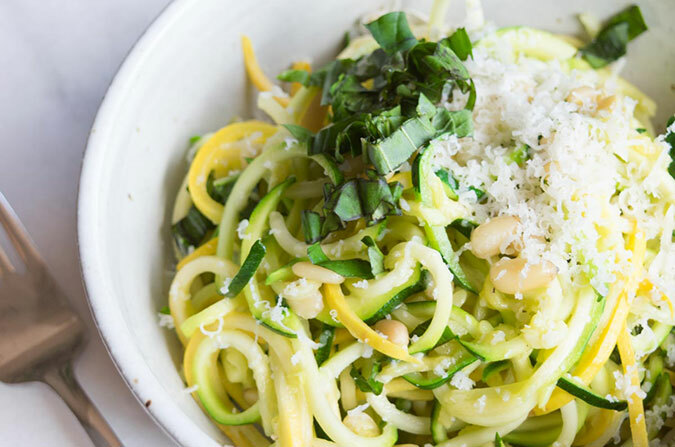 But using zucchini or squash as your pasta is a delicious way to add more veggies into your diet. All you’ll need is a spiralizer, like the Paderno Spiral Vegetable Slicer. It’s super easy and this recipe just requires some olive oil, butter, basil, pine nuts and parmesan. Delicious pasta night that actually helps you get your veggies? Check! Salmon is one of the healthiest foods you can eat! Packed with omega-3 fatty acids and protein, salmon fills you up and lends itself to some great flavor combinations. 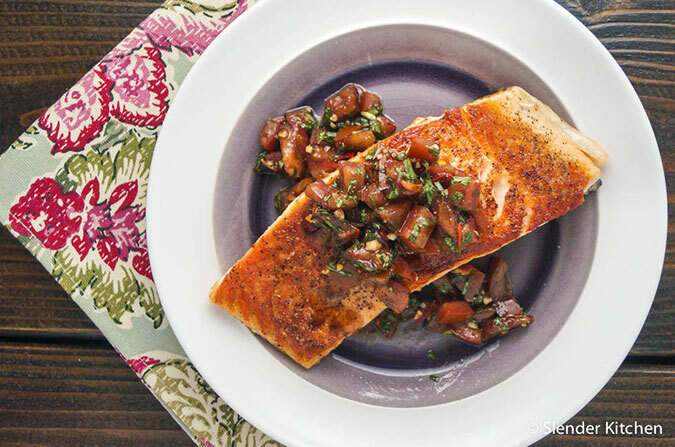 This easy recipe uses a simple tomato basil salsa to add tons of flavor to the fish. It’s a gluten-free and low-carb recipe that comes together in a flash! 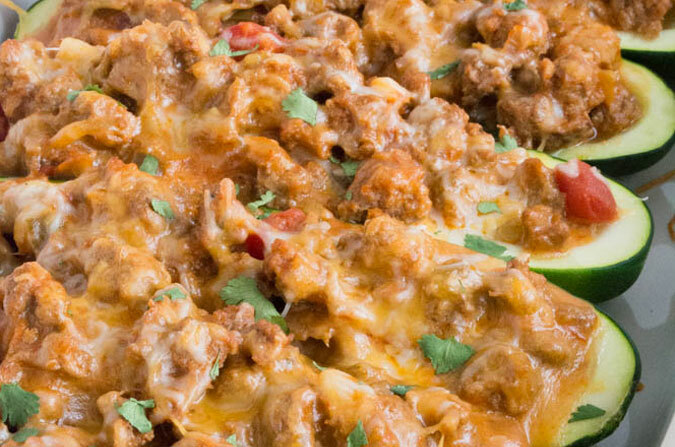 Swap the tortillas for zucchini boats and fill with this tasty combo of ground turkey, spices, and shredded cheese! Just scoop out the insides of the zucchini with a spoon and fill with the taco mix—you’ve got a low-carb and delicious dinner. 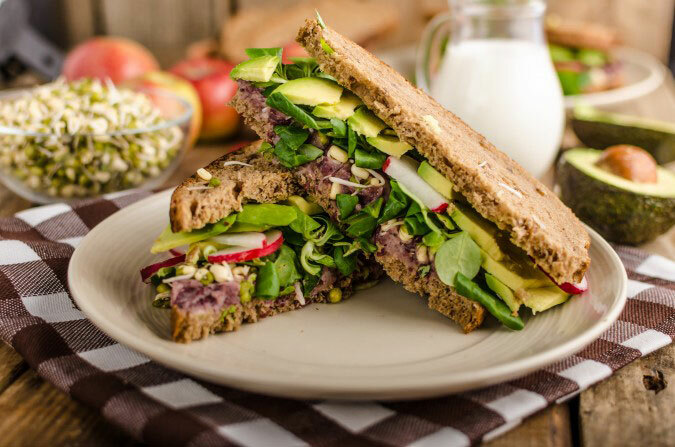 Sometimes nothing will hit the spot like a simple sandwich. This lovely creation is full of crispy veggies and flavorful hummus. Serve with a side of sweet potato fries or whole-wheat tortilla chips and you’ve got a nice dinner that comes together in 10 minutes flat. Toast the bread for a nice final touch. 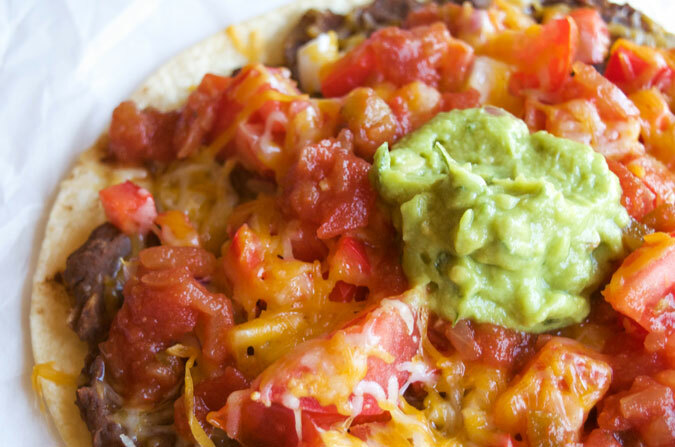 Craving pizza or tacos? While neither may be considered “health foods,” this Healthy Mexican Pizza makes it so with a low-calorie combination of both flavors. With just a handful of fresh ingredients and whole-wheat tortillas, you can make these tasty mini pizzas that contain just 370 calories per serving. 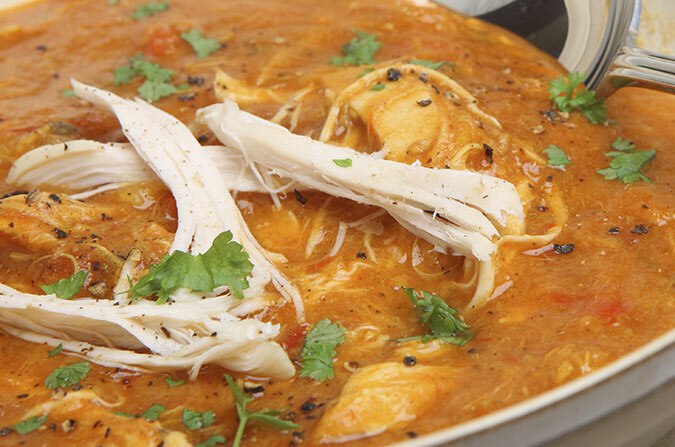 This is a great go-to recipe for chilly nights when you want something hearty that’s still full of nutrition. It’s packed with veggies and has a little kick thanks to the chili powder, garlic, and cumin. Add your favorite toppings and serve this yummy soup up to your loved ones—they’ll be asking for seconds! Take a sweet and tangy break from your typical dinner with this easy recipe. A handful of ingredients transform sweet potatoes into a flavor-packed recipe your whole family will love. 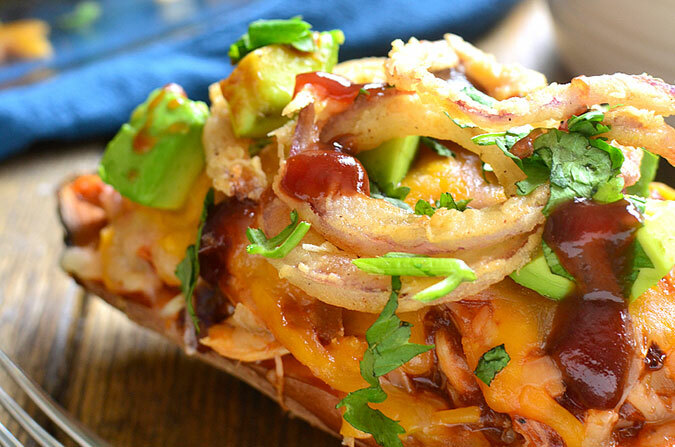 Sweet potatoes are loaded with vitamins and help fill you up without the extra calories. 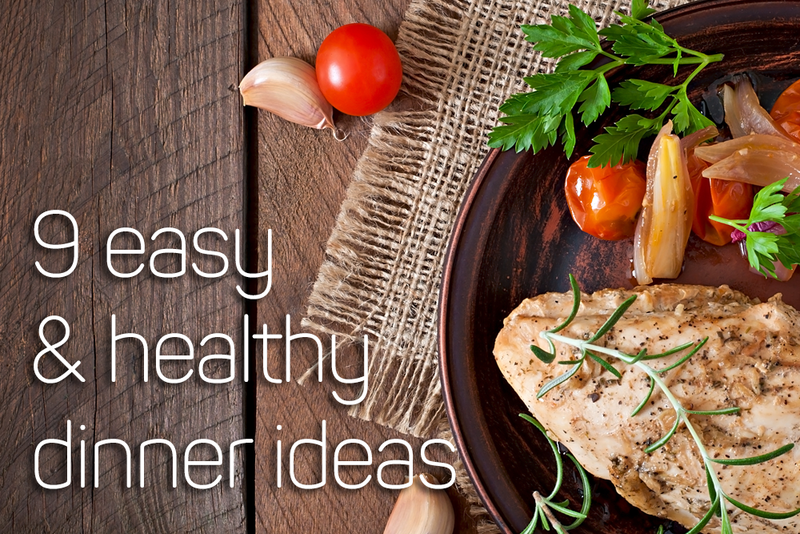 What are your favorite healthy dinner ideas? Let us know in the comments!